When I received a couple of jars of honey cream spreads from Bumbleberry Farms to try my first thoughts where to hide them before my kids found them. My kids love making toast or sandwiches with Nutella so I knew if they seen these two jars of yummyness they would want to try them first. I myself am a fan of putting spreads on toast or even just bread for a quick snack so I was excited to try both of the flavors I received. 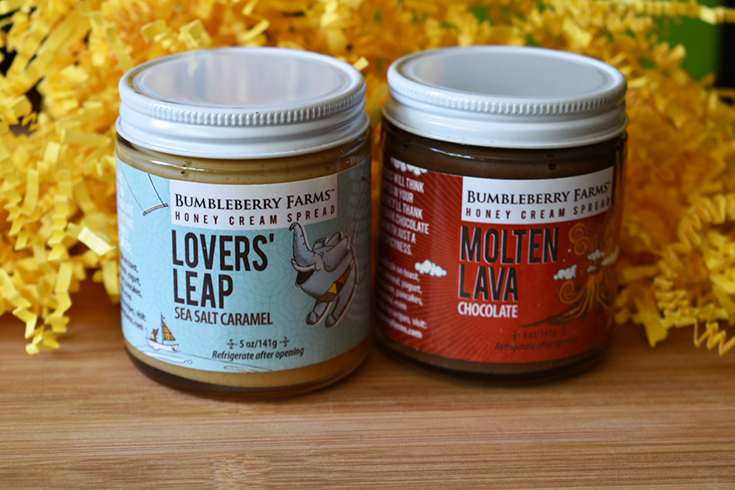 Bumbleberry Farms has four flavors for their honey cream spreads. 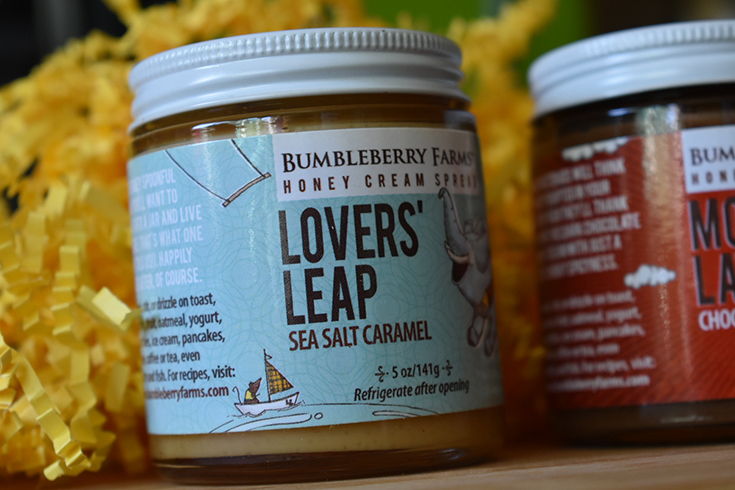 The Lovers’ Leap Sea Salt Caramel is delicious! You can spread it on some toast, pour it over popcorn, add some in your oatmeal or maybe add a spoon into your morning coffee. This stuff is great alone but it can also be just as yummy with the Molten Lava Chocolate. If you want something else on your pancakes besides syrup, these honey cream spreads go perfect pancakes! 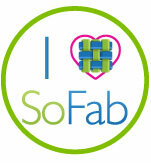 These are just two of the flavors that you will want try! I want to try their Sticky Buns Cinnamon Honey Cream Spread next! 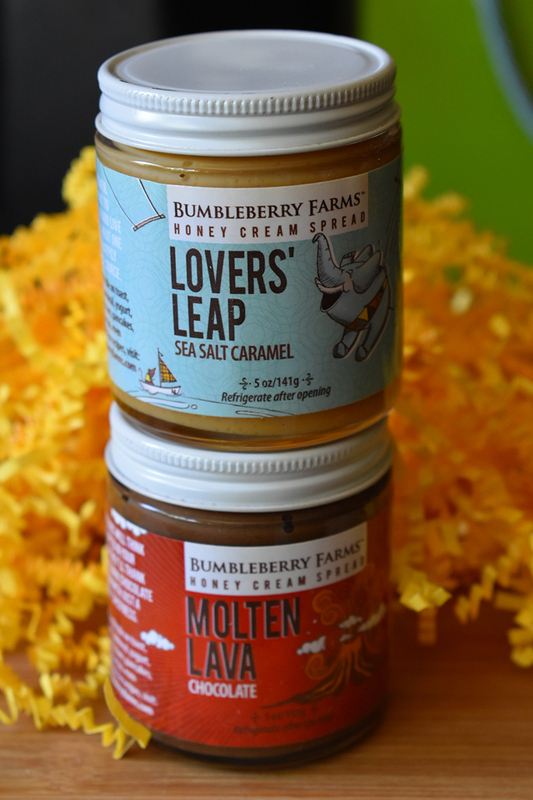 To learn more about the Bumbleberry Farms products visit: www.bumbleberryfarms.com.